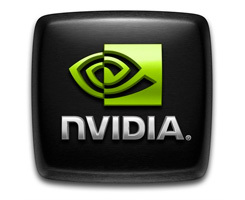 On this page you can download nVIDIA PhysX System Software 9.09.1112. Includes the latest PhysX runtime builds to support all released PhysX content including Batman Arkham Asylum and others. This release also resolves issues with Arabic language installations and occasional simulation interruption on some machines and titles. New runtimes for the PhysX SDK 2.8.3. Supports NVIDIA PhysX acceleration on all GeForce 8-series, 9-series, 100-series and 200-series GPUs with a minimum of 256MB dedicated graphics memory and 32 CUDA cores. Note: Some applications may have higher minimum requirements. Experience GPU PhysX acceleration in many games and demos, some of which are highlighted in PowerPack downloads here. Runtime upgrade ONLY for AGEIA PhysX processors users. (New AGEIA PhysX processors installations should install an older PhysX system software such as version 8.09.04 – prior to installing this update). Note – AGEIA PPU acceleration support for 2.8.1 SDK or earlier, and Windows Vista and Windows XP only. Supports NVIDIA PhysX acceleration on GeForce via CUDA 2.0 for SDK versions 2.7.3, 2.7.2, 2.7.5, 2.8.0, 2.8.1 and 2.8.3 (requires graphics driver v177.81 or later). Supports control of your GPU PhysX configuration from the NVIDIA display driver control panel. (requires graphics driver v180.00 or later). Note: If you have problems downloading nVIDIA PhysX System Software 9.09.1112, please try to stop using your download manager and avoid right clicking on files. Also, check your firewall settings, because some mirrors may require that you do not block the HTTP referrers.